Oral and Maxillofacial Surgery is the surgical speciality that includes the diagnosis, surgical and related treatments of a wide spectrum of diseases, injuries, defects and aesthetic aspects of the mouth, teeth, jaws, face, head and neck. It is an internationally recognized surgical speciality. 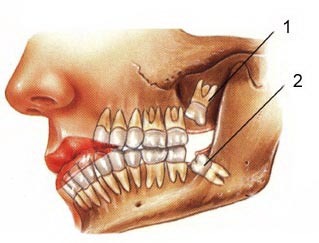 Oral and dentoalveolar surgery (removal of impacted and buried teeth, cysts, etc.). Dental implant surgery and associated bone grafting (to replace missing teeth or stabilize dentures; rehabilitation of patients having undergone surgery for tumors, to retain facial prosthesis. Oral and maxillofacial surgeons (OMS) frequently work alongside other specialists including dentists, orthodontists, prosthodontists, radiologists, pathologists, oncologists, ENT surgeons, neurosurgeons, plastic surgeons and other professionals allied to medicine.